I was tired on New Year's Eve. There was no one reason for it, but many excuses. It had been a long week of training, running, travel, work, reduced sleep and cold, gray, otherwise completely erratic weather. By Friday morning the sun burned so bright that I had to close my eyes when I first gazed outside. Bill came stomping into my front doorway wearing his goggles and heavy boots in the late morning. "The radio said it was negative 10 when I left my house earlier today," he said, half-playfully, half-ominously. 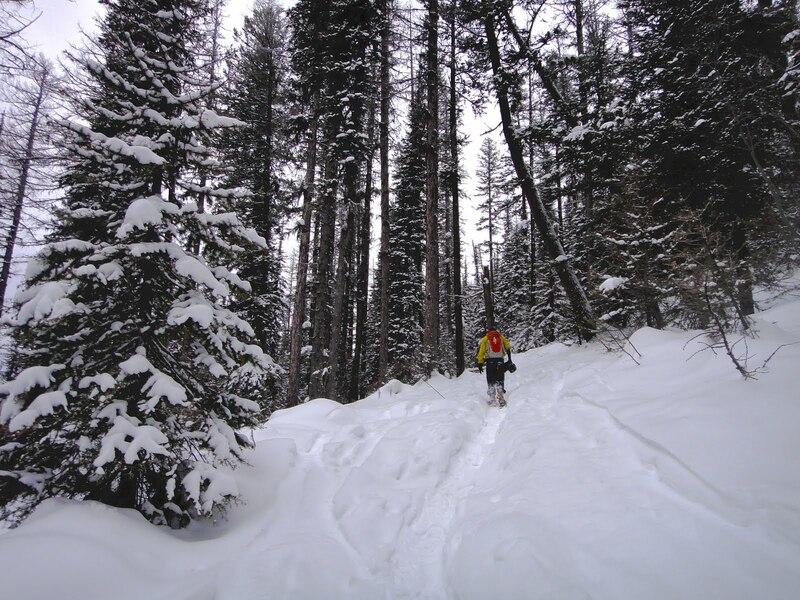 "Ah, doesn't matter," I said with a tinge of resentment, because it doesn't really matter what gear I have or how fit I think I am - that kind of cold makes me work hard, extra hard, every time. 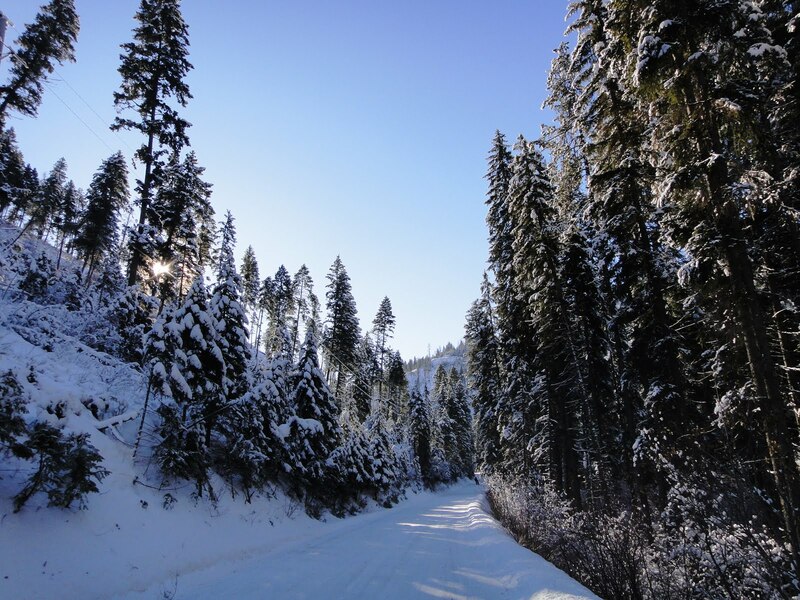 But the world was drenched in glistening white light and enveloped by a perfect bluebird sky. 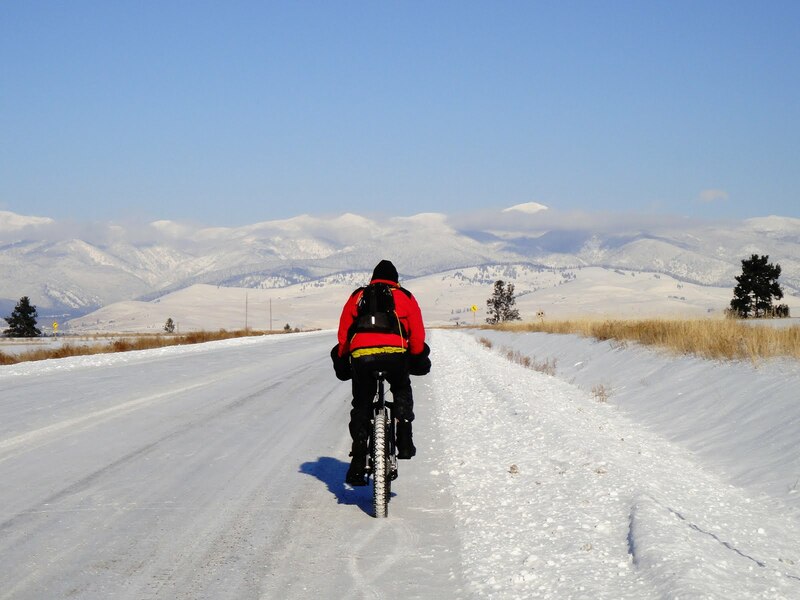 To the car-bound commuters who watched us pedal through our own billowing vapor clouds probably saw our bicycle riding as excessive — excessive because it was too cold outside, and there were parties to plan, real miles to travel and hours to count. But to us, the opposite seemed excessive — excessive deprivation of fun, like going to bed before midnight on New Year's Eve. When I was young, I loved New Year's Eve. I loved to whisper the dying seconds in my head as the crowd counted them out loud, letting beautiful and nostalgia-tinged memories slip backward like credits on a movie screen. Then, after the screams and cheers died out, I loved to take deep breaths of the crisp, cold air and believe it tasted different. I loved the sensation of everything becoming new and different within the span of two seconds, with the stars sparkling in the winter sky and the pages wiped clean, just waiting to be filled with new chapters. Now that I am older, I realize that time is more circular than linear, and this calendar day has always only been as meaningful as the events we ascribe to it. 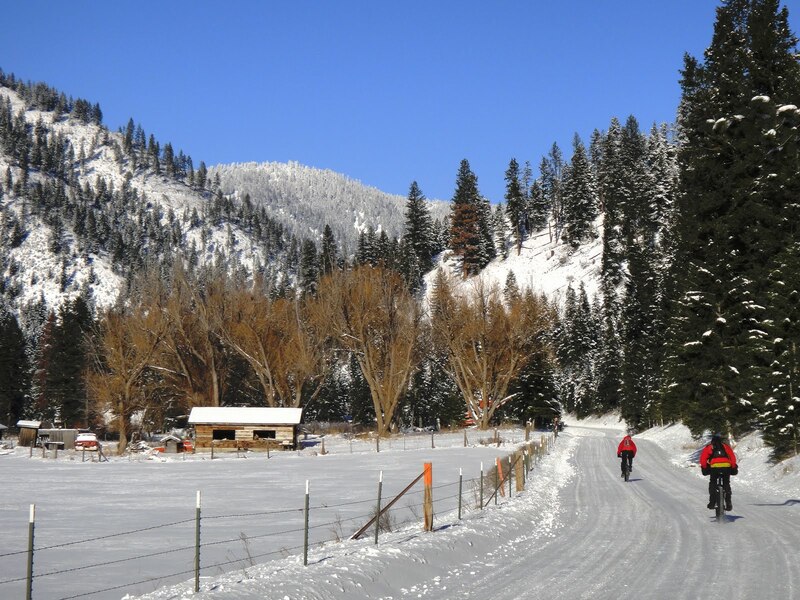 That's why we got out for a bike ride - not for auld lang syne, but for free passage into yet another new day, memorable in its simplicity, a clear cold day with the quiet squeak of snow on Miller Creek Road and the grumbling of my heart-rate monitor that seemed to openly declare me "overtired." We rode 32 miles in four hours. 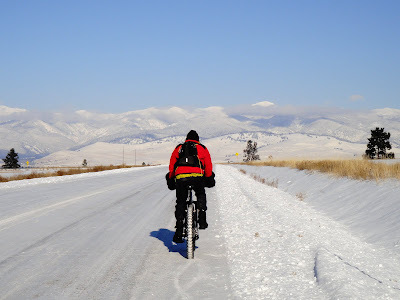 I slowed so much on the frosty descent that Beat stopped often to ask what was wrong. "Nothing's wrong," I said. "I'm tired." Couldn't he hear my raspy breath or the pounding of my heart? I glanced at my HRM: 145 beats per minute, which isn't exactly extreme intensity. I put my head down and pedaled. 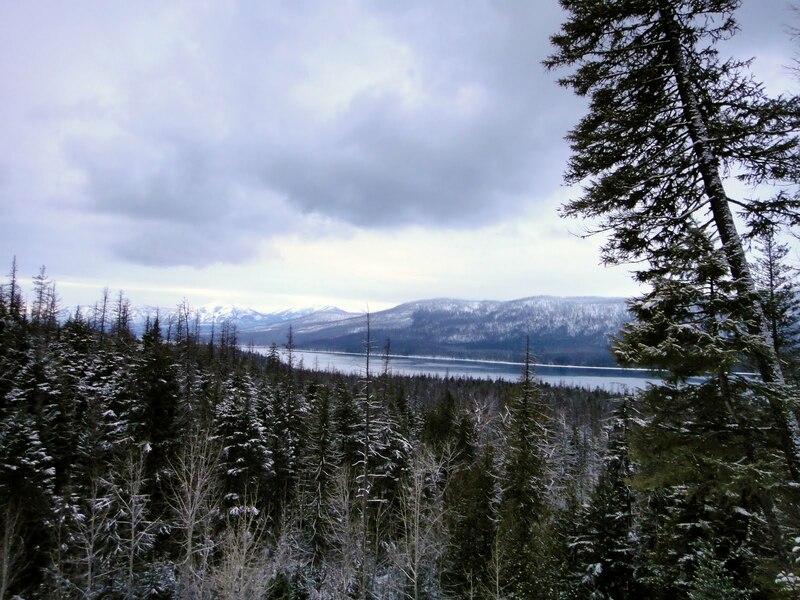 The Rattlesnake mountains loomed in the distance, with a barrage of tiny details as sharp as icicles in the clear air. The evening came with a three-and-a-half-hour icy car trip to Kalispell and New Year's festivities that passed in a bit of a daze. We toasted New Year's Day at 11 p.m. for Danni's friends from Chicago, then had a more subdued celebration at midnight. Somehow two more hours passed; we toasted New Year's in Juneau, and then moved upstairs at 2:30 a.m. to collapse in a stupor. I forgot to whisper the seconds as they passed or breathe the clean air of the new year. I was just too tired. Saturday brought more cold weather, with temperatures in the single digits and decidedly more gray. We had a long slow breakfast and then Danni and her friends geared up to go resort skiing. 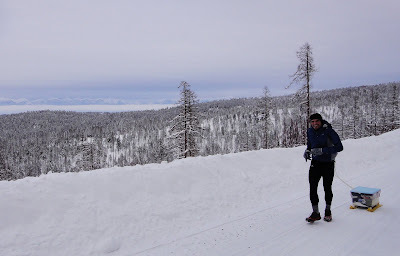 Beat and I longed for something quieter but weren't willing to drive my Geo more than 10 miles on the icy roads, so we took his prototype sled up to nearby Patrick Canyon and set out to run a random forest service road that we had almost completely to ourselves. Beat had a great minimalist idea for his gear sled, using a typical storage box and racing sled skis - waterproof, light, and utilizing easy-to-replace parts. Unfortunately I had forgotten how brittle plastic becomes in the bitter cold and subsequently forgot to warn him. Every single one of his zip ties eventually snapped, forcing several in-field repairs using pieces of cord he cut off one of his mittens. During the descent, the plastic legs holding the sled runners to the box snapped clean off. Beat worked to remove all the shards from the bottom of his sled as the setting sun shot a column of light into the sky. 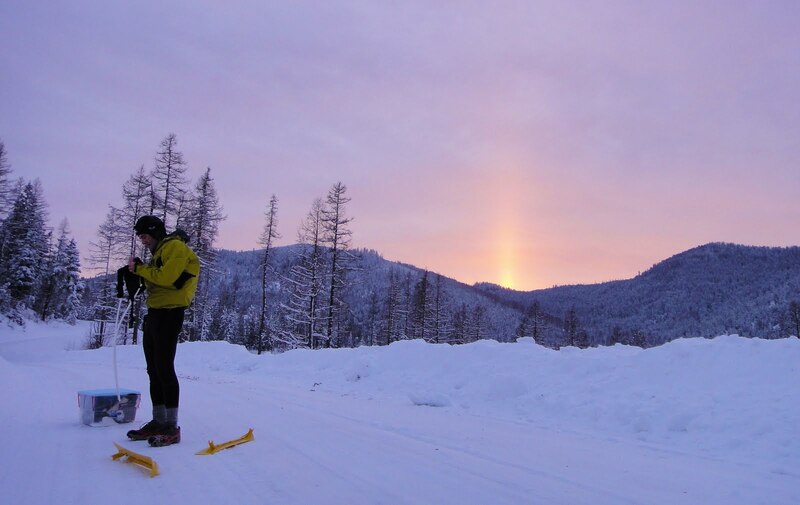 I can't be sure but I think this was part of a "sundog," which is the term used to describe pillars or halos of bright light caused when crystals of ice in the air diffract light from the sun. It really was a beautiful moment to stand and reflect as the deep chill crept into my meager running layers. After the sled had been converted to a plastic box dragged by two PVC pipes, I playfully dodged the swinging obstacle as we ran down the road. We rounded the corner to an open view of an incredible phosphorescent strip of deep crimson light unlike any I had ever seen. The alpenglow shimmered radioactively on the expansive crest of the Swan Mountains, far in the distance but close enough to induce involuntary yells from both Beat and me. It was one of those moments were you gasp at the beauty, take two or three woefully inadequate photographs and stare wistfully, straining to hold onto the dying light as the magic fades as quickly as it erupted. But you feel unbelievably lucky to have been there, to have slept in, eaten a long breakfast, refused to drive farther to more exciting destinations, and had your sled break a half dozen times so you could end up in that spot, at that moment, for the most perfect end to the first day of the year. It was as though we had planned it that way all along. The rest of the run felt fantastic. I have been a woeful downhill runner but on Saturday I hit a rare stride. My micro-spikes dug into the hard-packed snow and every step felt as confident as it did light. 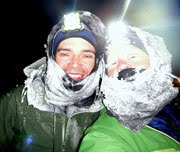 Beat had to manage his sliding dragging box and for once I actually surged ahead of him, wrapping up six effortless miles before the light completely faded from the sky. By Monday, my tiredness had burned through and faded, and I felt like my old perky self again. 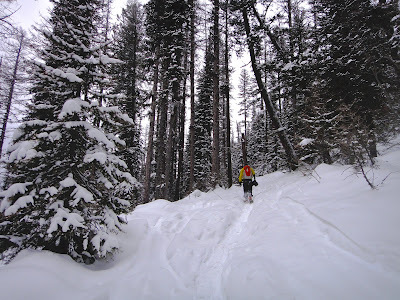 We accompanied Danni and her Chicago friends Cheryl and Chris on a snowshoe hike in Glacier National Park. We climbed the steep Mount Brown Lookout Trail even though we knew we didn't have nearly enough daylight to reach the top of the mountain. 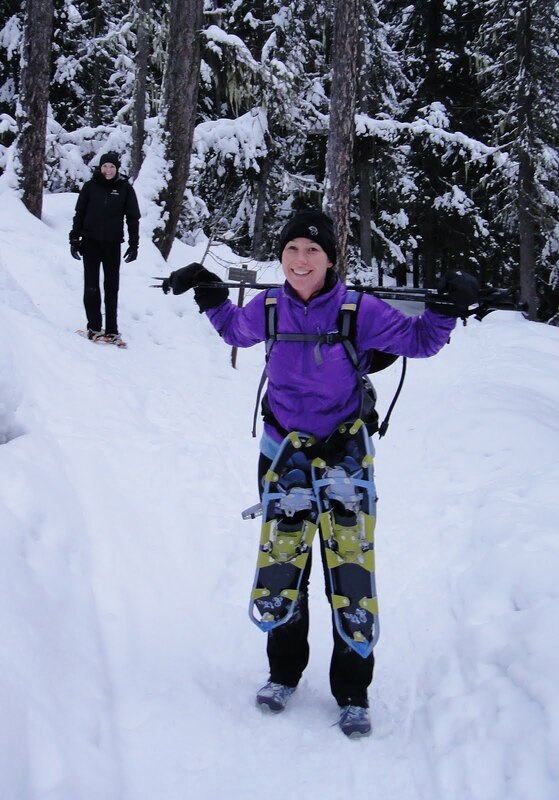 There was ongoing debate about whether it was easier to walk with snowshoes or without, although Danni was the only one willing to give it a try. As we made our way back toward Lake McDonald, a shimmer of yellow light in the far distance or flakes of frost on a tree branch would jog my realization - "Wow, it's 2011 already. The new year." But most of the steps were just another day in paradise, close to the things I love and moving joyfully along an endless circle of possibilities. awesome pictures. riveting post, as usual. 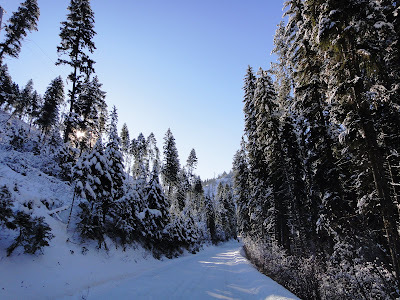 Magnificent photos and description - I just love that you share them on this blog. 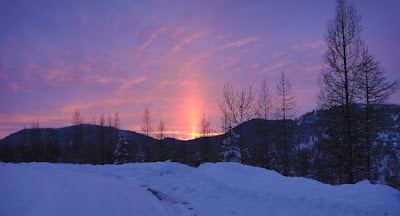 My guess is those were images of a "sun pillar" -- the sun illuminating ice crystals, straight up from the sun. Sun Dogs are small rainbow arcs 22 degrees to the left and right of the sun on a horizontal line thru the sun. is "jill outside" on facebook?